For the first time in almost fifty years, an official Mini team is entering the World Rally Championship. In 1964, the Mini turned its iconic status into world fame when it won the Monte Carlo rally. The new BMW Mini, built and run by Prodrive, will take part in its first rally in Sardinia on 5th May. 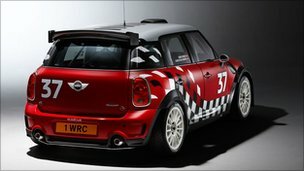 The Banbury-based team is hoping to challenge for individual rally wins next year, and the championship in 2013.
via BBC News – Mini returns to World Rally Championships. This entry was posted in Yay! 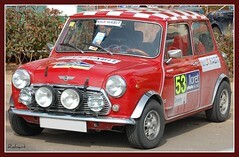 and tagged Banbury, BMW Mini, Mini, Monte Carlo Rally, Prodrive, Rallying, Sardinia, World Rally Championship by pybe. Bookmark the permalink.